Forget everything you know or think you know about rice pudding. 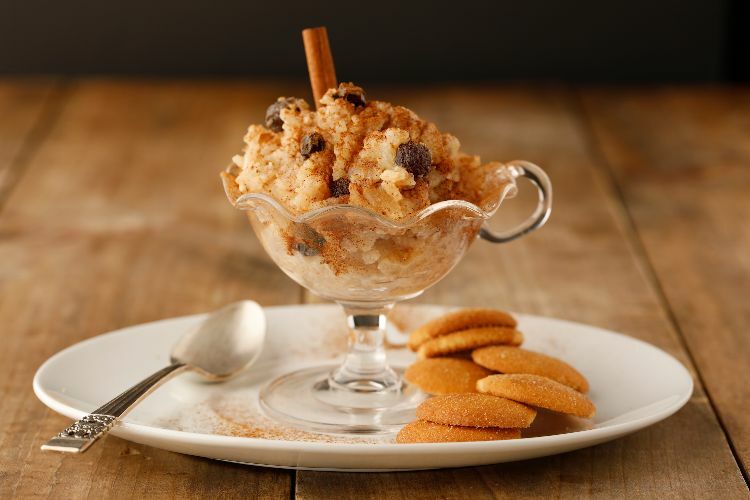 Even though it's true that too many people may think of nursing homes and mushy dessert when it comes to rice pudding, the recipe below shows that doesn't have to be the case. In this version, you get a sweet and light dessert that will have you totally rethinking rice pudding. It may become one of your favorite desserts. Sweet and easy; what's better than that? The secret is to use half long-grain rice and half arborio rice. The long-grain rice will ensure you get the creaminess rice pudding is known for. And the arborio rice will give it just enough legs to keep it from being the mushy dessert you tend to think of when it comes to rice pudding. You'll be pleasantly surprised by the results. 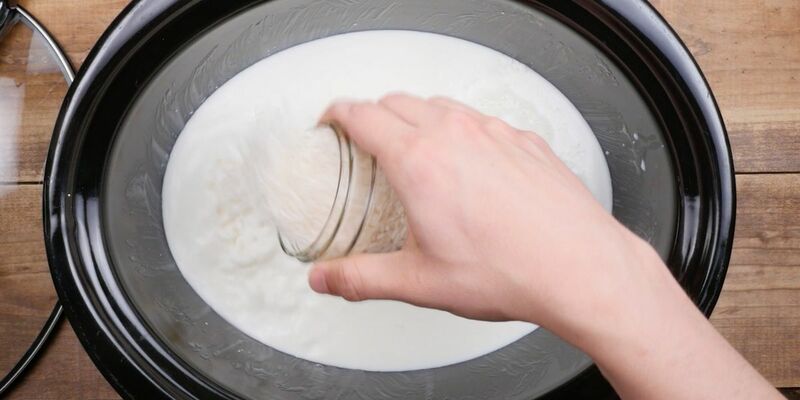 Use the butter to grease the sides and bottom of a 6-quart slow cooker. Add the milk, long grain rice, arborio rice, sugar, salt, cinnamon, vanilla extract, brown sugar and raisins to the slow cooker. Stir everything together. Cover and cook on low for 3 to 4 hours, until most of the liquid has been absorbed. Stir once or twice during the pudding's cook time as well as right before serving. In this recipe, we take the magic of sun-dried tomatoes and combine them with Parmesan to make a beautiful crust on the roast. Paired with garlic and fresh rosemary, the flavors of this pot roast are sure to wow just about everyone. The kind of recipe that makes you wish that autumn would just hurry up already, this combination of savory beef, hash brown potatoes and green beans is wholesome and delicious. Turkey meatballs get an upgrade in this recipe, thanks to ranch dressing baked right into them before they're covered with hot sauce.